This was the first diorama I built for Jürg and we wanted to go for a hot, desolate feel but with interest. The challenge was to add enough track to allow for interesting photos but not so much track that it would feel crowded. 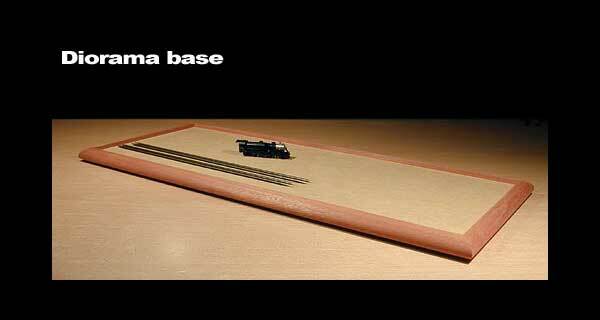 I used Sapele for this as well as for future diorama bases. Sapele is an African hardwood and is similar to Mahogany in many ways. Sapele was also used in propeller blades of German Zeppelins! I had my wood shop create a custom profile for the wood, something that would compliment the actual scenery without competing with it. You can also see some of the early "sketches" I did in foam for the overall design. I generally tend to design as I go along... seeing what angles and features present themselves. 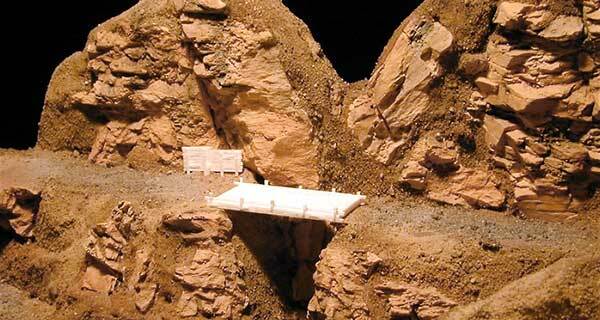 I designed two separate tunnel portal sets for this diorama, a poured concrete and a blasted rock. I like to build these in a strip-by-strip manner when it comes to details like the concrete forming boards. Takes longer to do but I feel it adds depth and dimension to the pieces. 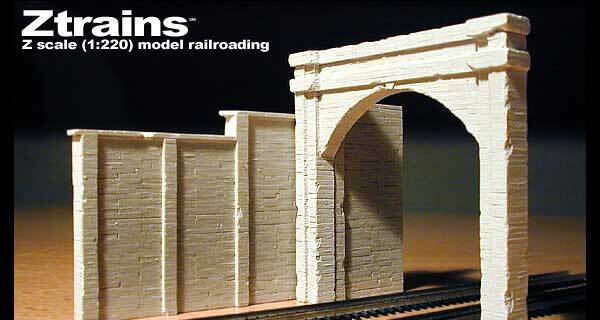 Here are some views of the final colors chosen for the rock work as well as the track work prior to weathering. I worked with natural soils here and tinted my rocks to compliment these natural colors. The natural colors I think work well in contrast to the "concrete" tunnel portals.